WELCOME TO THE FIRST PIONEER VALLEY DREAM CENTER! WE’RE GLAD YOU STOPPED BY. IF YOU’RE NEW HERE, WE INVITE YOU TO VISIT THE DREAM CENTER FOR ONE OR ALL OF OUR PROGRAMS, SERVICES AND OUTREACHES! YOU’RE WELCOME TO JOIN US AND BECOME A PART OF AN INCREDIBLE GOD SIZE DREAM! LET’S MAKE A DIFFERENCE. LET’S GROW, SERVE AND DREAM TOGETHER! The First Pioneer Valley Dream Center is a multicultural, bilingual (English-Spanish), faith-based and volunteer driven non-profit organization. It’s also the home of Amazing Love Tabernacle. Our calling is simple, to love and serve others; the homeless, and disenfranchised, the struggling families and individuals from all walks of life with the love of God. We believe everyone is valuable, born with purpose and a dream. We believe that through the transforming power of God's love, supportive services, outreach program opportunities and resources, we can help ignite hope in others to dream again. The Bible tells us not to despise small beginnings. With that in mind, Pastor Diana and Richard Garcia first planted Amazing Love Tabernacle in December 2012, a Full Gospel Assemblies International (PA) Affiliation, located in Six-Corner area of Springfield, Ma. 's inner city; with an emphasis on Prayer, Discipleship, Growth, Community Outreach and Services; but in April 2014, Pastor Diana began to experience a growing dissatisfaction. Her desire to provide greater assistance and services for others led her into a time of prayer & fasting. This time, God confirmed and sealed in her hear a dream and purpose. As a woman of daring faith, she stepped out in faith and contacted the LA Dream Center in Los Angeles, Ca. Shortly after, Pastor Diana connected with Pastor Katelynn Miner of the Berkshire Dream Center in Pittsfield, Ma; and with a mutual love for Christ and passion to serve others, Pastor Katelynn and Leader Cathy Chapman, of the Berkshire Dream Center team, trained and assisted ALT to establish the Adopt-A-Block outreach in the Six Corner's neighborhood of Springfield, Ma. In June 2016, the Board of Amazing Love Tabernacle voted to become a part of the Dream Center Network. With their blessing, Diana and Richard, traveled to the Los Angeles Dream Center in California for a Short Mission Trip (STM). The STM was an incredible experience that marked them with a deeper passion and a greater dream to serve the City of Springfield, Ma and the Pioneer Valley. Towards the end of the STM, the First Pioneer Valley Dream Center became an Official Member of the Dream Center Network. TO LOVE AND SERVE OTHERS BY MEETING BOTH PHYSICAL AND SPIRITUAL NEEDS. Our purpose? To help others discover and know Christ Jesus intimately. To help others find hope and freedom in the transforming power of God”s love. To help others discover their God given purpose, gifts and abilities. To help mentor others to serve and pursue their dreams. Our vision? To provide a place of refuge and hope through discipleship, education, resources and assistance, in the Pioneer Valley (Hampden, Hampshire, Franklin County). To work together in partnership with other community agencies, schools, organizations, service providers and churches for the purpose of empowering those battling with hopelessness and struggling within the community. We serve all individuals and families in need throughout, but not limited to, the City of Springfield and the Pioneer Valley. Isaiah's Closet & Pantry (clothing, food & furniture), Adopt-A-Block (Establishing & Building Relationships), Thanksgiving & Christmas Blessings, Monthly Fellowships and Dinners,Thursday Bible Studies, Friday Night Prayer, Spiritual Counseling, Discipleship, Sunday Worship Services & Children Church. We are committed to implementing additional programs that seeks to help, aid and empower the wonderful people of Springfield and the Pioneer Valley. *** Please stay tuned for Updates and Program Additions. Also, visit our FaceBook page. The LA Dream Center was founded by Pastor Matthew and his father Tommy Barnett in 1994. The Dream Center is a volunteer driven organization that serves through over 273 different types of outreaches. Currently the LA Dream Center houses over 700 people and serves over 400,000 people each month.The Dream Center is also known as the “Church That Never Sleeps” and founded in the heart of downtown Los Angeles, California. On June 17, 2016, First Pioneer Valley Dream Center became an Official member of the Dream Center Network. 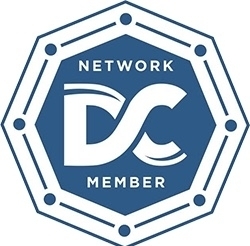 We’re honored to be a member of the DC Network, which consist of over 60 plus Dream Centers throughout the United States and 11 Dream Centers internationally (Australia, Brazil, Haiti, New Zealand, United Kingdom and others). Together we share a common cause of helping to restore hope and dreams in our communities through the love of Jesus. My husband Richard and I thank God for calling us to this great cause; thank you to the faithful members of Amazing Love Ministry for stepping out in faith & daring to believe with us and God’s size dream. Thank you to our families & friends for your support. A Special thank you to the LA Dream Center for inspiring us to live with a cause; and the Berkshire Dream Center for your friendship, inspiration and unconditional support; and to Full Gospel Assemblies Intl., for your continued support and to the many generous donors & volunteers that have dared to dream with us.We look forward to dreaming big together for the love of God and others.